Central Coast Bride’s next Spring Bridal Show will be Sunday, April 15th, 2012 at the Madonna Inn Expo Center, San Luis Obispo from noon to 4pm. This is the largest faire of the year. Meet over 100 wedding pros in one location. Check out the latest fashions and wedding trends. Get ideas to help make your wedding unique. Come hungry as caterers and bakers will be handing out delicious samples. 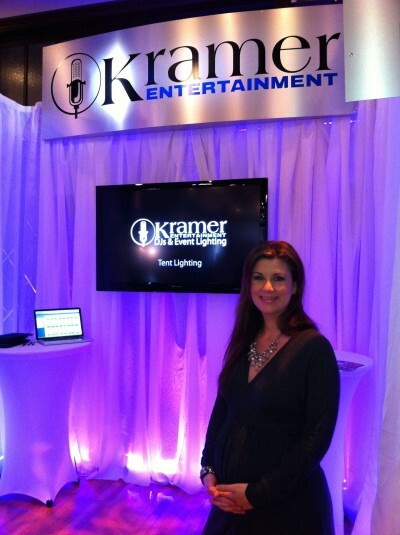 Meet Melissa and the Kramer Team at our booths G1 and G2 located at the back of the room next to the restrooms and the stage. Just look for the lights! We will be available to answer questions about our popular 2 DJ wedding Host MC package. Also, our lighting Designer, Zach will be there to show you what your wedding could look like with Decor lighting. Have a blast getting your free pictures taken in our photo booth. See the latest wedding trend.. the video booth!